The future is already here! - 3 years ago by Philip Boyad. 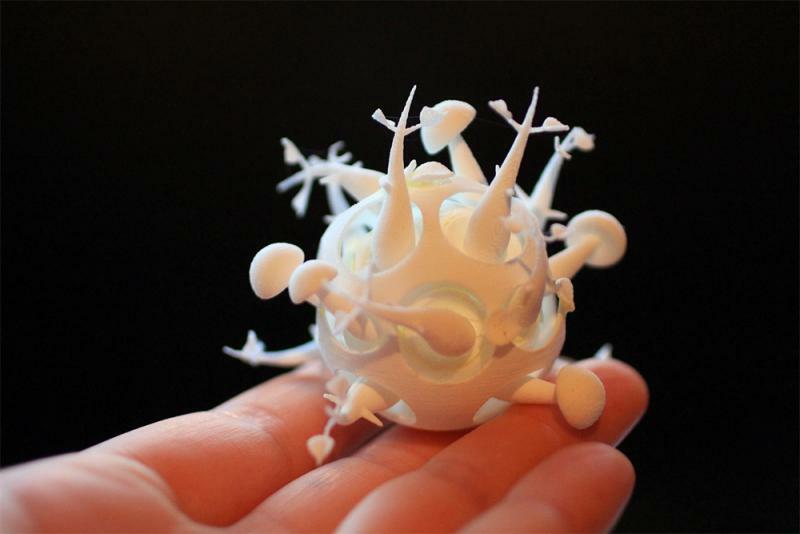 We all have heard about the incredible application of the 3D printing technology. Until now, this futuristic technology was used mainly for making objects from plastic and different spare parts for machines. 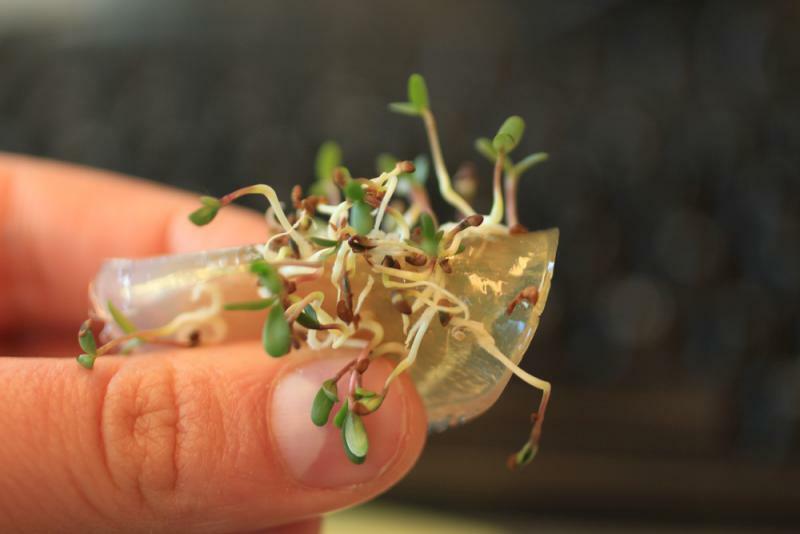 However, 3D printing could be used for many other things such as printing your own designer food or even printing spare human body parts that could be transplanted on patients. 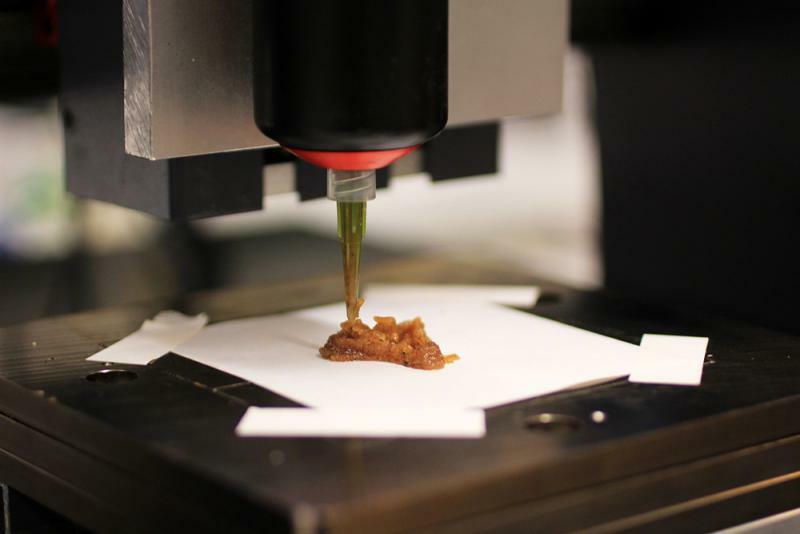 Body part printing is something from the future, but food printing is a real thing. 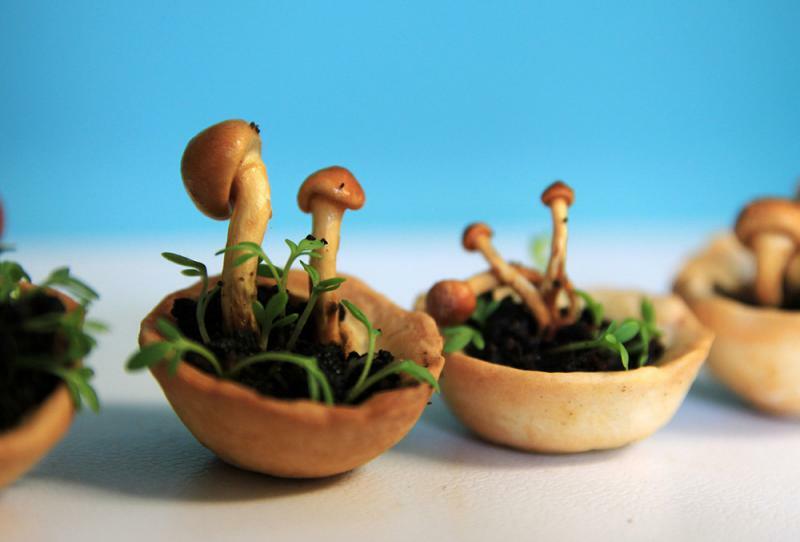 Just ask the food & concept designer Chloé Rutzerveld. 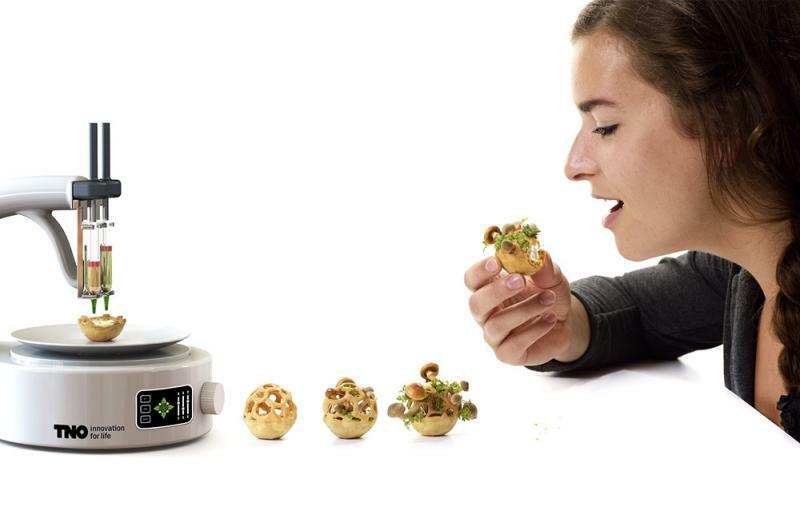 She is a passionate food designer who combines food aspect with science and nature using 3D printers. 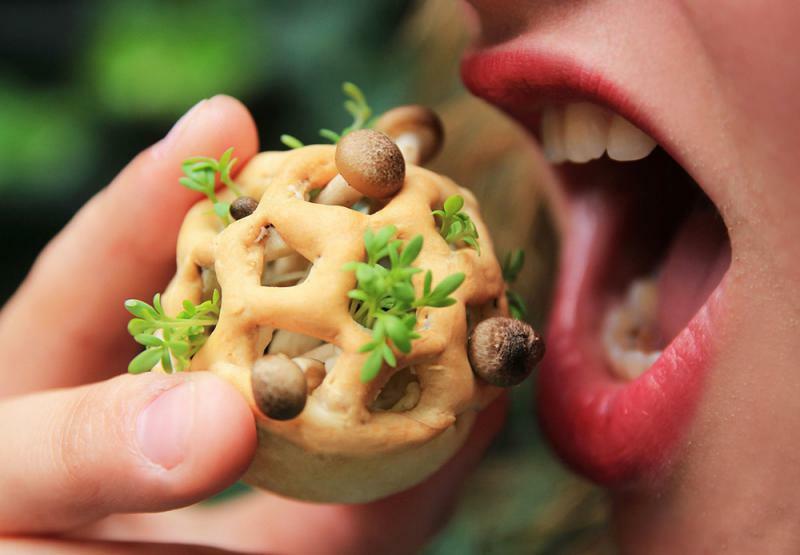 Chloé Rutzerveld thinks it is a great way to produce sustainable and healthy food that is more efficient for humanity. 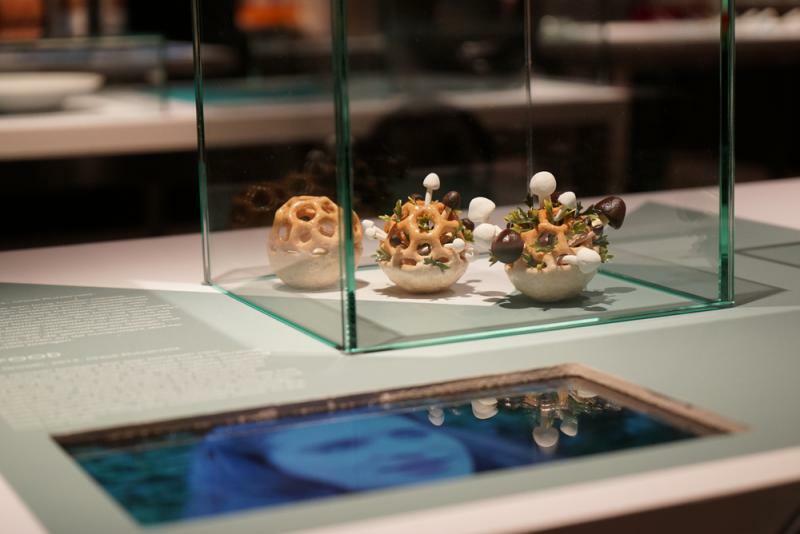 Chloé Rutzerveld had a mission to prove that 3D printed food method didn’t create foods that go against nature or are unhealthy in any way. 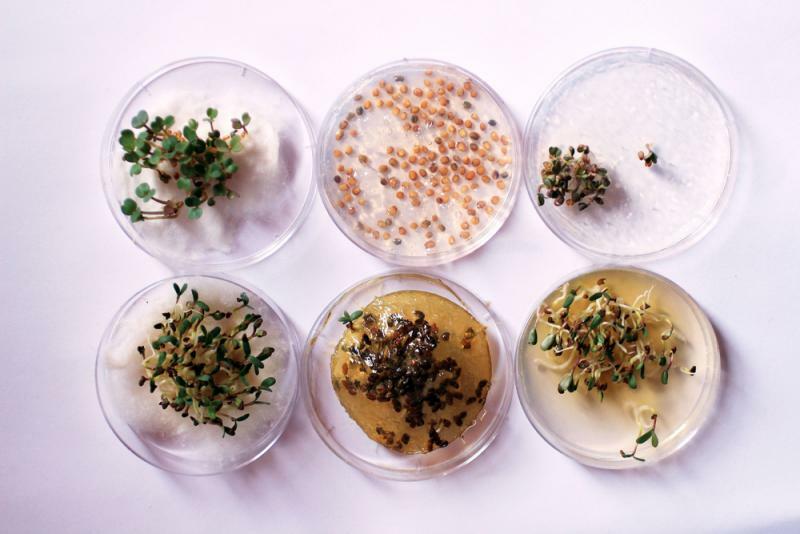 You may think that 3D printed food is toxic, but actually what comes out from the needle of the printer is a unique combination of organic seeds, spores and yeast that is germinated after a few days. The basket shell of the snacks is made of filling called agar. Agar is a gelatin material obtained from the marine algae, used as a bacterial culture medium, in electrophoresis and as a food additive. 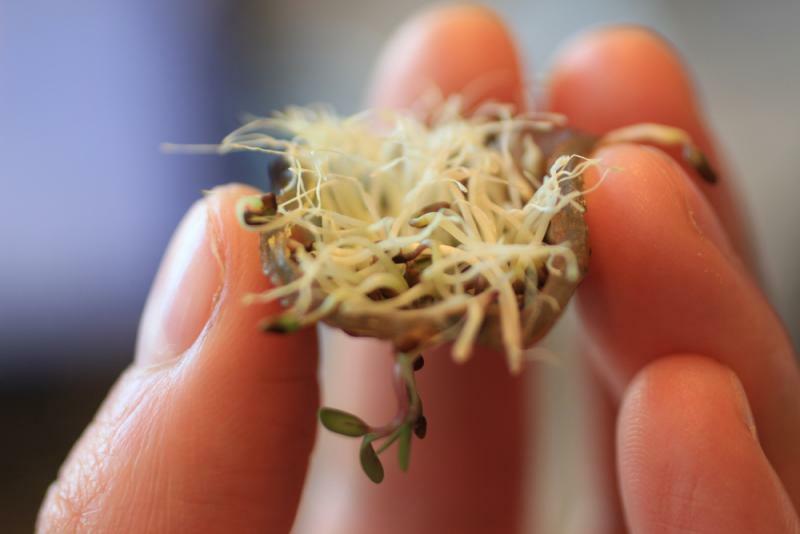 A few days after printing, the snack will be fully sprout and ready for consumption. 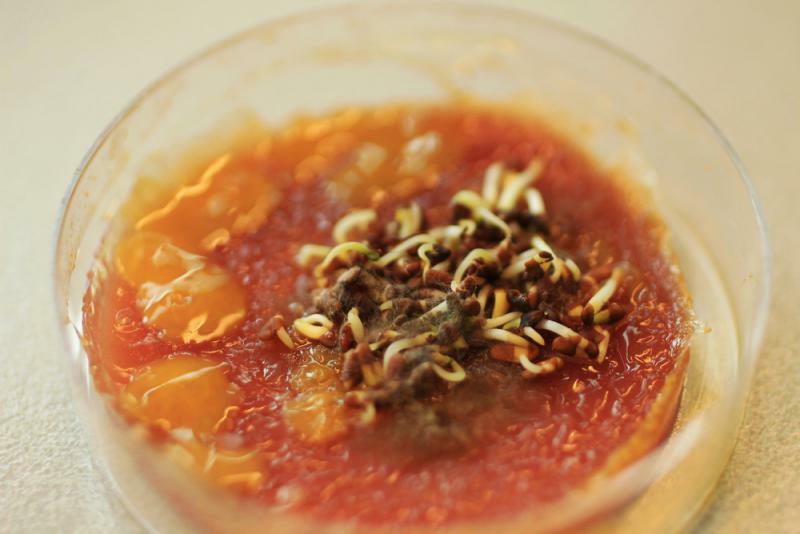 By the time when the sprout is fully grown, the flavor profile and the form of the snack also changes. 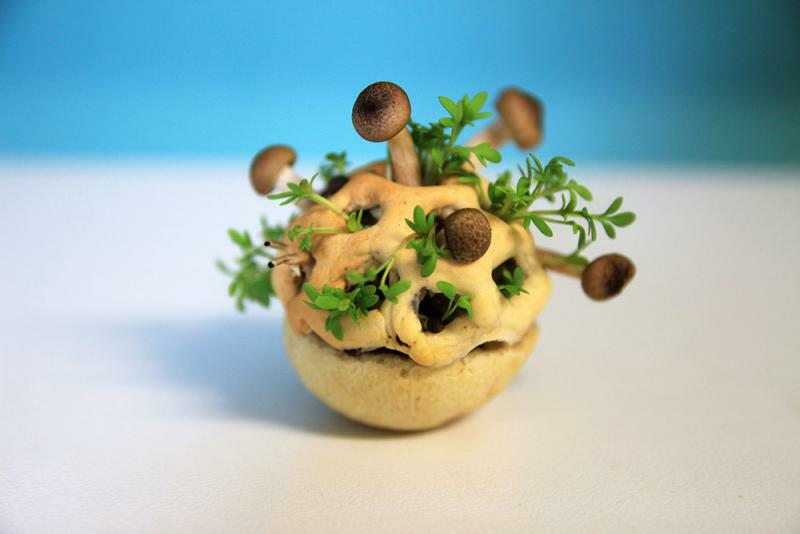 The end result is a snack that is not just incredibly beautiful but also very sustainable.